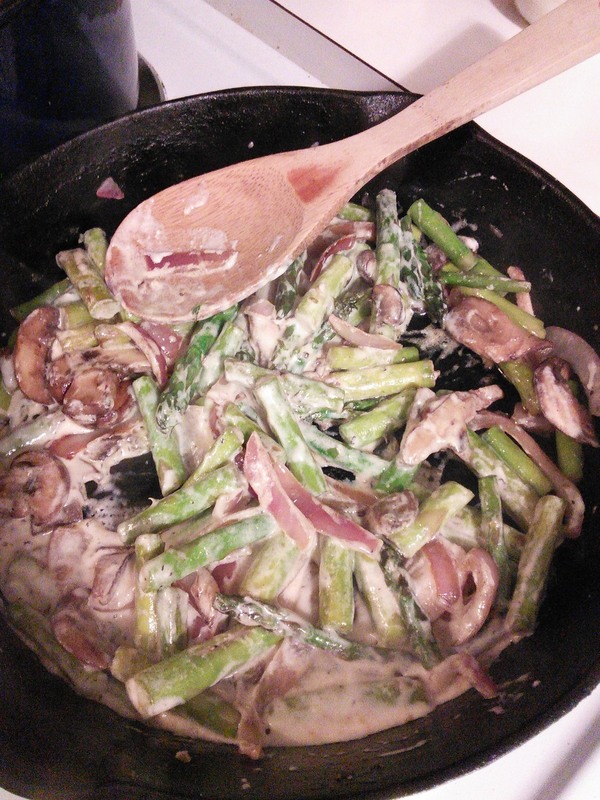 Quick and Easy dinner featuring Trader Joe's Lemon Pepper Pappardelle Pasta, Asparagus Saute Veggie mix (shiitake/oyster mushrooms, onions, asparagus), and Alfredo Sauce... YUMMY! So simple, no recipe needed (REALLY)! Just follow package directions on all ingredients, mix 1/2 the jar of alfredo sauce into veggies once cooked (season with salt and pepper), toss with the cooked pasta and ENJOY!